Pat Skinner, EDEN web manager, is blog post author. The networking support team at LSU is pleased to have Debbie Hurlbert putting her energy into these two important growth areas, working primarily with the Information Clearinghouse Committee and the youth-focused members of EDEN’s Family and Consumer Science/4-H Youth PAWG. If you’ve been to either of the last two EDEN Annual Meetings you’ll remember Debbie as the person behind the 4-H youth themselves presenting their mitigation program in Alabama (a first youth presence at an EDEN Annual meeting), and helping to convene a small youth programs group in Las Cruces, to see if the recent surge in youth programs is sustainable, and warrants a separate PAWG. As a result of that meeting EDEN now has a Youth and Disasters Pinterest board. 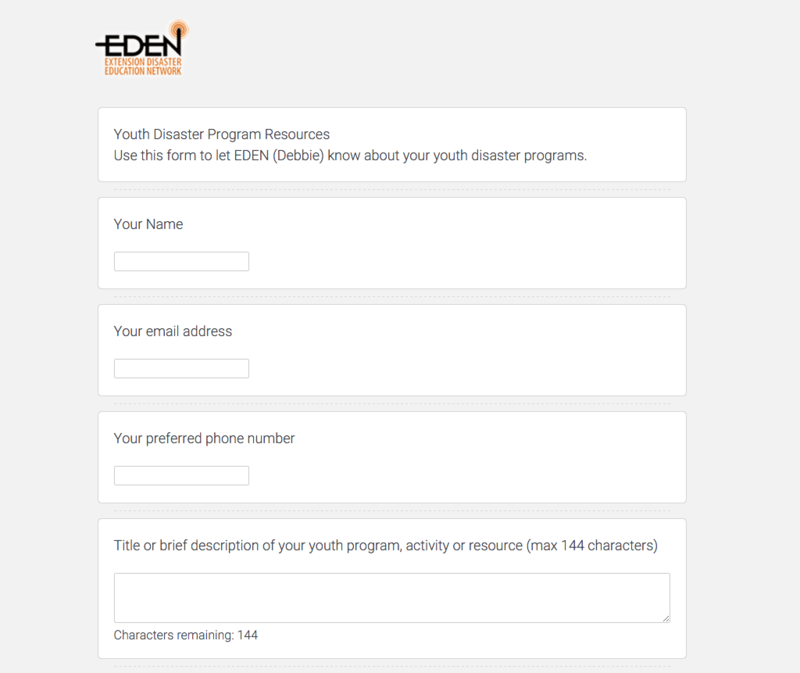 The board can be found at https://www.pinterest.com/edenpins/youth-and-disasters/. Here are two things you can do! The first thing you can do. If you have youth-audience programs and educational/exercise/training materials, make sure Debbie knows about them. She has already scoured the past annual meeting agendas and found quite a bit, but we know there’s more going on than we hear about at these meetings. She reached out to Lynette Black, Ryan Akers and Susan Kerr, who have submitted a proposal for PILD. She’s even started posting in EDEN’s Youth and Disasters Pinterest channel. You can make simple entries here, and Debbie will get back to you for the details! And now for the second. If you have educational resources (all audiences) you’d like to recommend to other delegates, help Debbie get them into the Resource Catalog. Start by seeing if they’re already IN the catalog. From the Resource Catalog home page, http://public.eden.lsuagcenter.com/ResourceCatalog , search for your state name. Find your Institution on the left “Filter List.” For example, the search for Louisiana returns 29 items, of which 28 are for the LSU Institution and one is for Louisiana Sea Grant. Click on your institution name for a list of your institution’s resources. Send Debbie your catalog suggestions here. What Kinds of Resources is EDEN Looking For? Access to shared state resources was very high on the list of benefits of EDEN in the recent delegate survey, and the catalog is a primary means of doing that. As you have time, explore the tags, and see how the filters use tags to refine search results. The more you know, the more we’ll grow! With the spreading floods and other disasters, I want to alert EDENites to a set of new, free educational materials from HUD for dealing with damaged homes. These differ from many other materials I’ve seen in that the core thread is “health”, both during and after recovery. When homes are damaged, disaster survivors face the daunting and dangerous task of clean-up and repairs – often with little or no professional help. All are eager to restore their homes and lives quickly, yet many are not aware of all the hazards that can be worsened by the process. To alleviate that, various educational resources were recently developed through the U.S. Dept. of HUD’s Office of Lead Hazard Control and Healthy Homes working with Cooperative Extension Service and others. They’re now available from www.hud.gov/healthyhomes web site’s Post Disaster Recovery and Resources link under Popular Topics. 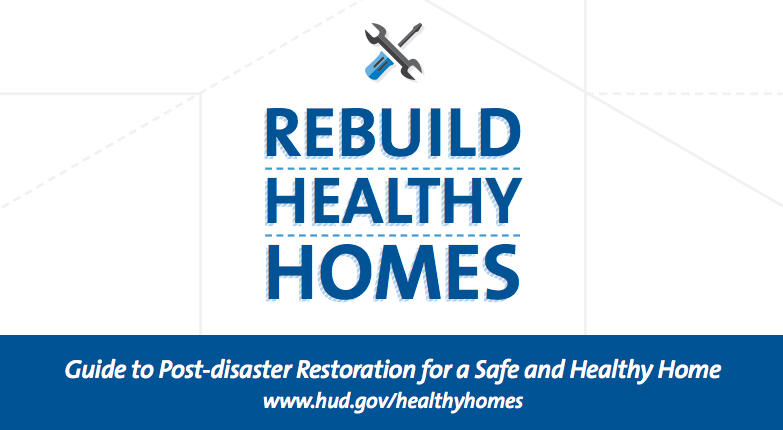 The flagship “how-to” guide is Rebuild Healthy Homes: Guide to Post-disaster Restoration for a Safe and Healthy Home. It’s a detailed, highly-illustrated reference to help homeowners, volunteers and other workers safely restore homes damaged by any type of natural disaster – from floods and storms, to wildfire and earthquakes – to end up with more than just a livable home, but to protect the future wellbeing of their families. 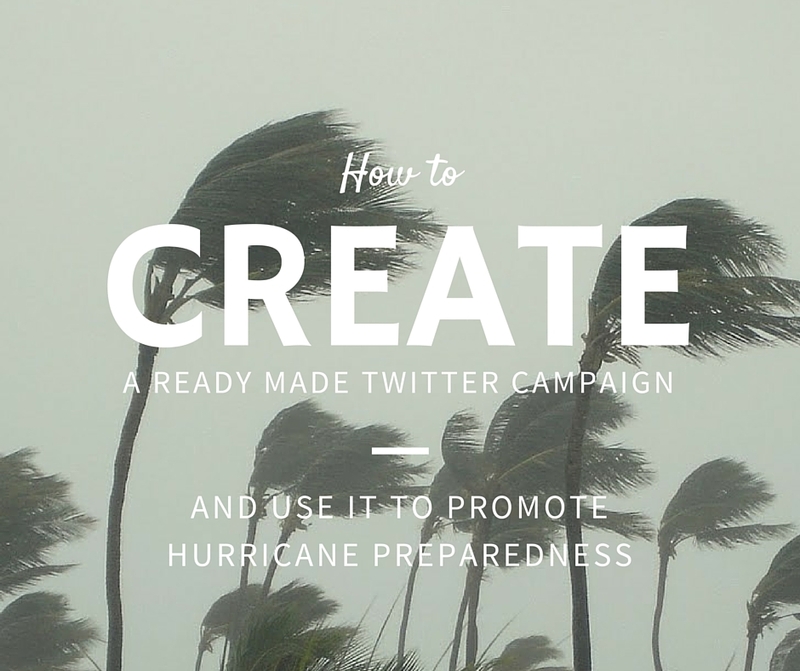 Content includes the Top 10 Tips; personal protective gear; assessing structural and health hazards; work preparation; best practices for clean-out, gutting, decontamination and repair; ways to “restore for more than before” with resilient, energy-saving and healthy home improvements; and, other resources. Content conforms to new federal interagency recommendations for dealing with mold, lead, asbestos and radon after disasters. This 72-page guidebook was extensively reviewed and refined by disaster survivors and stakeholders from across the nation, including Extension housing specialists; I was primary author. It’s available as a free online pdf file that can be printed in whole or part, as well as a free mobile app for both iPhone and Android devices (search Rebuild Healthy Homes in the app stores). Three short YouTube videos: Restoring Your Home After a Natural Disaster, Returning to Your Flood Damaged Home, and Addressing Mold after a Disaster. A resource for families and for contractors developed by a federal interagency working group to create consistent guidance on post-disaster clean-up and hazard reduction from asbestos, lead, mold and radon in homes. A 12-page online pdf overview of home health hazards and restoration safety steps. Important Information for Volunteers in Helping Disaster Victims Get Back to a Healthy Home, a 2-page online pdf to create awareness of restoration hazards. The HUD Disaster Recovery Toolkit is a 15-page directory of HUD’s resources with descriptions and regional contacts, including a 2-page flyer for duplication and distribution. Don’t forget about the app!